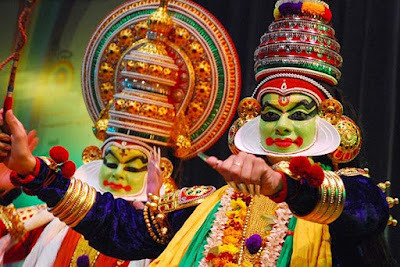 and 4th day of the festival and traditional Kathakali dance groups from various places perform the whole night and showcase their talents in this interesting traditional dance native to Kerala. Their dance themes include episodes from India's great epics the Ramayana and Mahabharata. Other celebrations also include folk arts like the Mayilattom (peacock dance), Mohiniattam and Velakalietc that are performed on the temple premises. 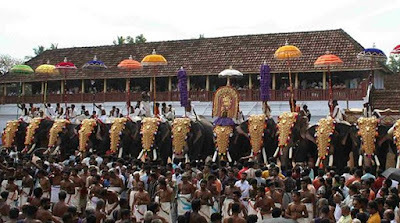 As only on the last day the Arattu takes place, thousands of devotees and onlookers throng this place and the venue of this event is over-crowded. 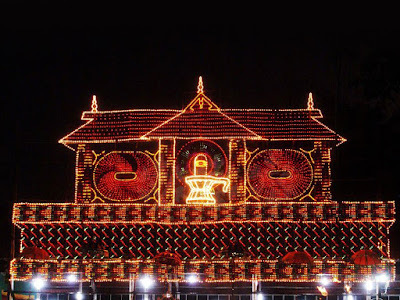 The Thirunakkara Hill of the Kottayam town is the venue of the celebration. 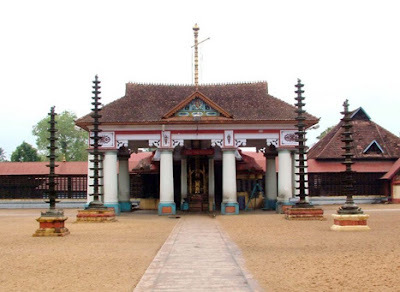 It is an important temple festival of Kerala. In all major Hindu temples of Tamil Nadu and elsewhere in south India, the temple tradition has been that the procession idol, during festival times, will be taken around the four streets adjacent to the temples called Mada or Car (Ratha) streets. The idol is kept on a ratha or a palanquin accompanied by percussion players and devotees, etc. Once the ''Swami Oorvalam'' (nearest meaning: going round the town) is over, the idol will be taken reverentially back into the temple sanctum or in the mandaba (hall). Never have I heard or seen the procession idol -Utchavar being taken to the nearby water body for a ceremonial bath in Tamil Nadu. Hence, this ''Arattu'' temple ritual is part of unique Kerala culture. 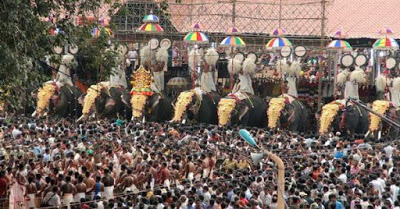 Yet another interesting feature native to Kerala is the participation of a large number of decorated elephants as part of daily puja ritual or major temple festivals.